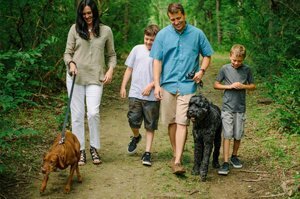 The Woods of Sylvan Lea is a community that M/I Homes of Columbus, Ohio, started developing in 2017. As its name suggests, this development is directly adjacent to the older Sylvan Lea community which was established in the 1980s. This new development shares much of the lush and dense woodlands of its older neighbor to draw prospective buyers of Sarasota homes for sale. There are also some new builds along with pre-owned resale homes in the well-established Sylvan Lea whose name connotes “wooded meadow.” Notably, M/I Homes has also set within the old neighborhood the November 2017 grand opening of its first home model for its new community the Woods at Sylvan Lea. In addition, the builder has assured that preservation of the Sylvan Lea’s natural beauty would be a priority in developing its new neighborhood. The mature oaks within the locality would be padded in the course of development activities so as to preserve the tree canopies within the Sylva Lea property. The Woods at Sylvan Lea consists of 5.5 acres, and M/I has platted this site for a total of 56 homes on 90-foot lots. This builder offers in this community single family homes with floor areas of between 2,100 and 3,000 square feet designed with three- to five-bedrooms and offered at asking prices in the high $300s up to the low $400s. The older Sylvan Lean neighborhood, in comparison, has a total of 46 homes mostly built during the 1980s. Recent market activity here were on homes having floor areas of between 1,950 and 3,500 square feet. Also designed with three to five bedrooms, their pricing mostly hovers in the $300s–$400s range as well. Besides building upon Sylvan Lea’s lush and serene setting, M/I Homes is counting on its over 40 years of industry experience to woo prospective buyers of Sarasota homes for sale to its new community. Listed on the New York Stock Exchange, this company has a market capitalization of close to $790 million and caters to a broad range of home buyers. Homes for sale in the Woods at Sylvan Lea are notably being developed with no CDD fees. Favorable too for its aspiring residents, the community’s homeowners’ association fees cover maintenance of the property’s streets and lovely landscaping. A deal-clincher too for the Woods at Sylvan Lea homes for sale comes in their superb location Porter Road location midway between the strategic road corridors of Bee Ridge towards south and Fruitville to the north. Both have interchanges enabling access to Interstate 75 leading up to a wide selection of commercial and business hubs including those in and around the master development of Lakewood Ranch. As enticing to would-be buyers of Sarasota homes for sale, this new community enjoys close proximity to several recreational areas for outdoor activities. These attractions include Celery Fields, Ackerman Park and Rothenbach Park plus the world-class rowing facilities of the Nathan Benderson Park. 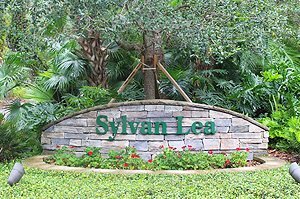 Westward arterial roads, in addition, allow convenient trips to the award-winning beach of Siesta Key which definitely count too amongst the perks of living in the Woods at Sylvan Lea. Below are the current real estate listings available at The Woods at Sylvan Lea.